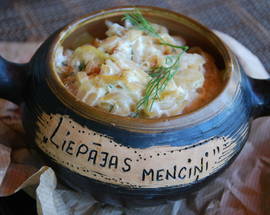 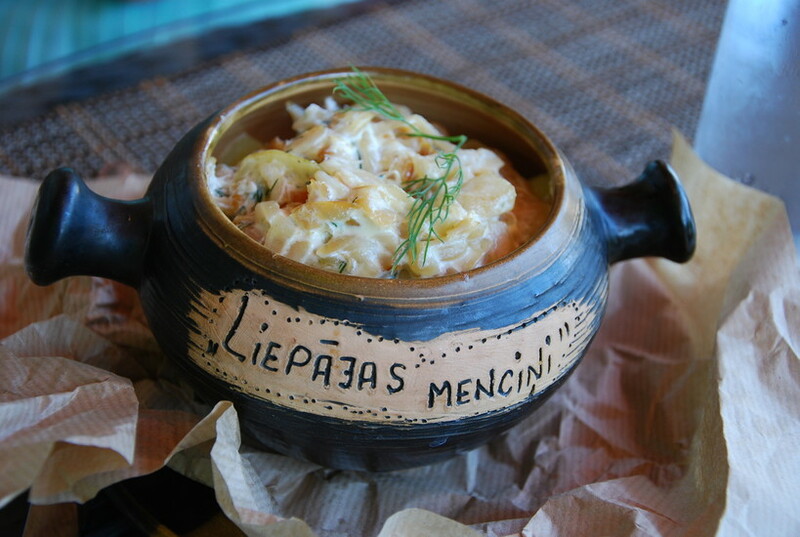 These days you can order pretty much anything at Liepāja’s cosmopolitan cafés and bars from fresh sushi and Tex-Mex burritos to burgers and pizza, but if you’re looking for something a bit more local then try Liepājas menciņi (Liepāja’s little codfish) that is served at a growing number of restaurants in this seaside city on the Baltic. 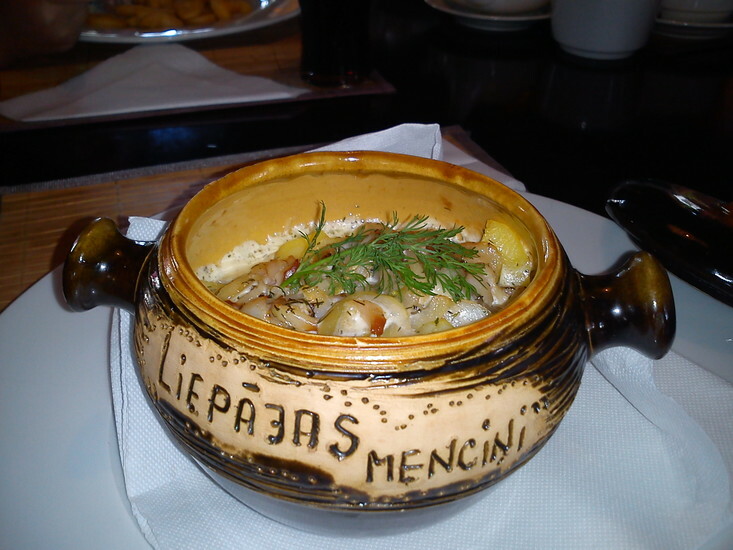 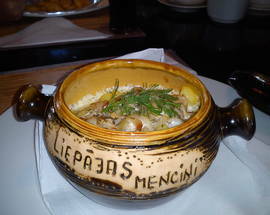 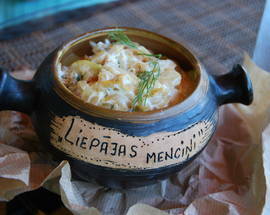 The dish is a stew of smoked cod, potatoes, onions and heavy cream presented in a special ceramic pot. 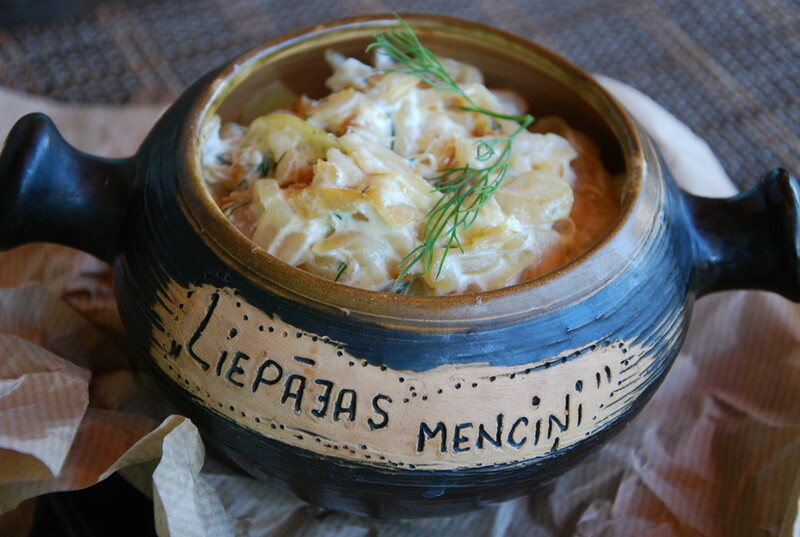 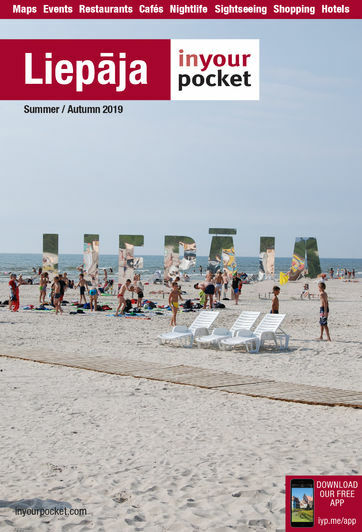 Liepāja’s official dish can be had at the following places.